What Is Proper Pricing For Rekeying Services? 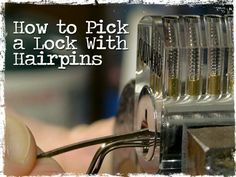 Are you thinking of rekeying your locks? Are you looking for a local locksmith who can come to your house to do the rekeying? Do you know how much this is going to cost you? Well, the truth is that the cost you are going to incur depends on factors such as size and experience of the company and where you are located. However, there is usually a base fee which most locksmiths will charge you to cater for typically standard rekeying services regardless of where you are located. So if you are wondering on the cost you are going to pay to have your locks rekeyed, have a look at these aspects. Most locksmiths, both companies and independent ones will charge you a service call fee regardless of where you are located or the type of service you are seeking to get. Mostly, the rate for service call ranges between 40-100 dollars. This rate covers the cost of having a locksmith visit your home, inspecting and assessing the work to be done, plus a base rate for their service. Be careful to note any locksmith who just gives you a random figure over the phone without charging you a service fee. It is a red flag and such kinds can be rip offs who want to charge hidden charges. Try your level best to avoid sealing a deal with such people at all costs. They will not quote a service call fee over the phone, but when they come to access the task, they charge you some insane excessive rate. It is therefore advisable that you pay for service call first, instead of struggling to pay an insane figure when the locksmith finally comes home. For each lock cylinder you want rekeyed, the locksmith with charge you a figure between 5 and 35 dollars, on top of the service call fee. This is the standard lock cylinder rate for most companies, whether you want the rekeying on one or many doors. So, the question is what determines the exact rate to charge? One thing that has to be taken into account is the base figure in the locksmith’s mind. Additionally, material’s costs, locksmith payment rates, time required to rekey the lock and other similar variables are considered in coming up with a lock cylinder rate. Ensure that when you call a locksmith, they give you both these figures (service call fee and lock cylinder fee). Anyone not willing to give you these two figures and gives you a straightforward figure is discouraged. Call another company as this locksmith may end up inflating this figure when they are done with rekeying your locks. Trust you me, this will be late for you start complaining about their integrity. Location where you need the service. For example, in a big city like LA, you are more likely going to pay more as compared to somebody in a smaller rural city. The cost of parts used in rendering the service. The kind of lock to be rekeyed. For example, if yours is an older lock, you may pay more as there is a lot of work needed and also more expensive parts may be used. Whether it is a commercial or residential job. The type of the company. Is it a big or small one? Is it a private or an independent locksmith? Once these few factors have been taken into account, the figures are added to the base rate charged for service call and lock cylinder to be rekeyed. It is therefore important that you inquire from the locksmith about all these additional factors and how much they will affect the total cost before hiring them. Be keen to observe any suspiciously low or high quotes as this is a locksmith who does not have your best interest at heart. Call more locksmiths for quotes instead of tying yourself to this one. Avoid those companies who just mention a random figure without accounting for both service call and lock cylinder, they may inflate the figure later. Despite the fact that prices fluctuate, a locksmith should be able to quote these basic rates when asked, for you to make an informed decision on the right locksmith to hire. Can All Locks Be Rekeyed? There are many different scenarios in which you might need to change your locks. Whether you’ve moved into a new office or home and are concerned about your security (it’s very easy to duplicate keys nowadays) or you’re dealing with a broken lock or you’ve lost your keys, you generally have two options: replacing the lock or rekeying. In some cases, full replacement is unavoidable, but still rekeying is a better option. Not only this process less time, but can be done at a fraction of cost. Let’s have a close look at the rekeying process. Yes, it’s possible to rekey most of the key based locks. 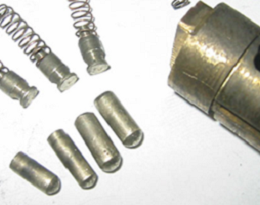 It’s a fairly straightforward process in which a locksmith replaces the lock pins located within the lock’s cylinders and altering the tumbler (wafer) configuration so that only the newly cut keys can open the lock. The next rekeying step is cutting those new keys (you can order as many copies as you want). Once your lock has been rekeyed, you won’t be able to use your old keys. A locksmith can rekey most of your locks to work with just one key or you can even opt for a master key system so that certain keys work only on specific door locks while a master key can open all your locks. This is very useful for commercial establishments that want to provide some keys to their employees but still want to limit their access to some areas. Usually, it’s best to rekey all your locks, but in some cases, when the location has been masterkeyed, just few need to be done. If you want to rekey all your locks, you can assess how many of them need rekeyed by counting the number of places where a key can be inserted in a lock, which is a cylinder. Most double cylinder deadbolts, common in the US, have a cylinder inside and outside the door. They’re common on doors next to glass windows. If someone were to break your window, they still won’t be able to open the door without a key. Can It Be Keyed to One Key? If locks in your house currently work on a single key, there won’t be much problem in rekeying and making them all work on just one key. 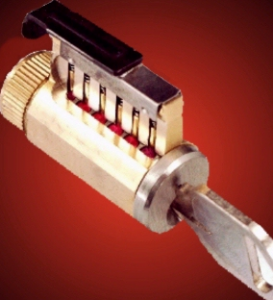 If you’re using more than one key for operating different locks, it may be necessary to replace some of the locks in order to make entire house or commercial establishment work on a single key. All this depends on the locks you have in your house and the type of keyways they have. This depends on few factors. 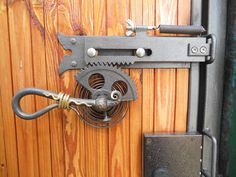 First, and most important one is the type of locks that are to be rekeyed. Most standards locks used in houses may need a minimum key recharge, but there are exceptions to some types of locks. Some commercial buildings have exit devices, restricted keyways, high security locks and other devices for which you may have to pay more. In most cases, it’s just few dollars more per lock for these devices. It’s possible to rekey most of these locks and is the most economical way to restrict access to any location that may have keys in the wrong hand. The rekeying process is much faster than lock replacement. 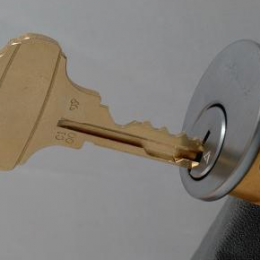 Usually a locksmith can rekey a lock in about half the time it takes to replace the entire lock. This can be very important if you’re talking about large number of locks in business, where time may be of essence. 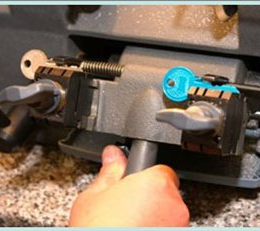 Another benefit of rekeying a lock of complete lock replacement is lower cost. In many cases, rekeying can save you considerable money, especially when you have multiple locks. If you want to get rid of multiple keys on your key ring, or are tired of guessing which key fits what lock, rekeying locks in your house or business is a great option. This way, all your locks will be able to work on one single key. Rekeying locks can also minimize security risk to your business or home. Since you can now control the distribution of keys to your newly rekeyed locks, you will know exactly who all have access. Rekeying is the best way to establish security in your new office or house when its unclear whether the former occupant has keys that still fit the previously keyed lock. No matter what your reason for changing your locks, rekeying in most cases is be a better solution. This will ensure that you have the convenience and security you need at an affordable price. Give your local Locksmith a call today to set up an appointment. Rekeying your lock or replacing, which is the best option for you? The answer to this question may depend upon a number of factors. Factors like the quality of lock that you have, the age of your house or your car vs. Age of your lock, the brand of your lock and the type of lock you have. These factors are what will determine which option will make sense to your home, your car or your business premise. 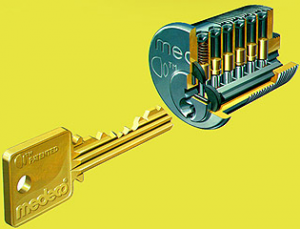 Rekeying involves altering the inside of your lock such that the old keys won’t work on the lock. Replacing is pretty obvious; it means installing a brand new lock, instead of upgrading what you already have and this is actually what most people go for, simply because it is an easy option and a well-known solution to issues like security, or when they lose their keys. But there are certain circumstances when rekeying is actually a simpler option and an easy one. Unless your current lock has been irreparably damaged or simply flimsy, rekeying offers the same degree of security just like having a new hardware. However, Rekeying has some more advantages over replacement. First, it involves using hardware that is already installed, which means it is a pretty simpler option. Replacing require a new installation, which is not easy as it may seem and takes a lot of time leave alone being costly. Secondly, Rekeying is a greater way of minimizing security risk since you can be able to control the distribution of the keys to the newly rekeyed lock/s. You can also be able to use the same key on many locks, unlike lock replacement where you will need keys for each and every lock. Rekeying is an economical and much more convenient alternative to replacement. Rekey locks as soon as: A roommate moves out, as soon as you change a domestic helper, after a home renovation project, if you move into a new home or when your keys are stolen or lost. It doesn’t trust your friends or your workers or even your contractors, but sometimes you have no way of being sure that their friends or their employees may have any intention of accessing your home or your business. 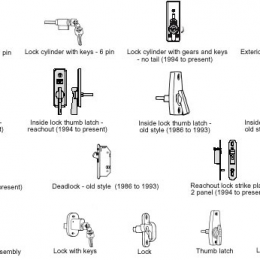 When should you replace your lock? If your lock has not been working properly, then rekeying may not be able to solve your problem. Installing new hardware may also be able to improve the level of security especially if you have recently moved to a new location. If you want to change the style and the finish of your lock, or maybe you are changing out your door then, replacement is a necessity. The technology of locks and security is constantly changing, so if you have an old lock, then it is high time you consider replacing them since as lock technology changes so does burglary methods. Old locks are easy prey to criminals so you may need to get the best expert when it comes to installation of a new lock. If your apartment or house was recently broken into, then it is highly recommended that you replace your lock. In most cases if a lock has been tampered with it is very unlikely that it will work and rekeying may not work. Installation of a new hardware is often much more complicated that you can anticipate and requires the mind of a professional. You can do it yourself, but hiring a professional will not only ensure extra safety but also saves you lots of time leave alone getting assured that the installation has been performed properly and precisely. So, which of these methods makes sense to your business premises, your home or even your car? Well, each situation is different, and I can give you my best recommendation in terms of cost, time, convenience and appearance. However, at-the-end of the day it is about going for the option that will make you feel the most secure. Rekeying is sufficient for changes in staffs or services while the replacement is the best option when you move into a new space or when you have had a break-in attempt. Either way, It is a job that should be handled by a professional and done precisely. As a business owner you need to ensure high security measures are taken in order to secure your assets. Well, this will only be made easy if you use the right locks for your enterprise. 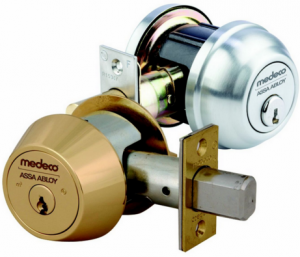 Normally, commercial locks are by far different from residential locks, it is for this reason you need ideas on the right locks to suit your commercial needs. 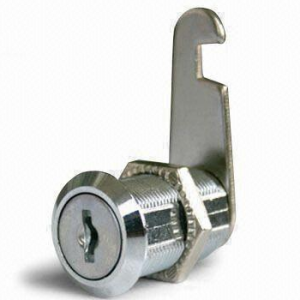 Therefore in here have been availed a variety of commercial door lock options for business owners. Although they do not provide maximum security against burglary theft, lever handled locks are still good options to company enterprises with the need to keep away unauthorized access from snoopy employees. Moreover, this type of locks will serve you best in situations whereby one needs to adhere to local business rules and regulations. They are most appropriate in interior door locks which do not necessarily need much protection against professional burglary theft. Also known as interchangeable core cylinders, these locks are usually appropriate in cases whereby you’ll need to upgrade security within your enterprises as well as be able to change the locks frequently whenever need be. For instance in a situation whereby an employee quits and takes the lock key with them. All you’ll need to do is to contact a mobile locksmith to do a little adjustment. This will involve switching the core without necessarily having to replace the whole lock; by so doing you are enhancing general security within the company with a lot of ease. Though used at residential buildings, deadbolts are also good recommendations for business enterprise external lock. Reason being, they have been designed to prevent forceful entry into buildings making it even a better option for external security. The traditional deadbolt may not offer the required security level but that is the reason most business people prefer the latest versions which come with features like steel door frames and deadbolts made of strong steel alloy to prevent breaking in. As technology advances companies advance technologically too. That’s why most business enterprises today will opt for keyless lock system. These lock systems are ideal in ensuring top security. These keyless lock systems will require the installation of a keyless door; therefore you need to consult a locksmith on the keyless system available. The keyless system can use; card access system, entry codes or biometrics to permit entry. Padlocks are temporary locks which are not fixed onto something else unlike most locks. They can be used for temporary security measures meaning one can use and reuse them wherever they want. Padlocks come in a variety of different sizes and shapes which are operated with combinations or keys or even both. Most importantly padlocks will provide you with the ultimate security you need for that particular time. These types of locks are usually automatically or remotely controlled. 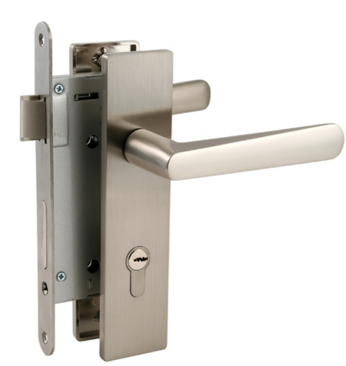 They come in mortise or cylindrical styles, can be used as fail secure locks or as fail safe locks. Appropriate to be used in offices, stairwells and hallways or any other place in business that will needs safety code compliances. These locks are often required in small areas in business that needs to be secured. These can be mailboxes and filling cabinets. They provide a wide variety of options for lengths and locking mechanisms, so business owners can adjust their locks for specific purposes. There are more of commercial locks one can go for ranging from the standard locks to those sophisticated locks that will enable you restrict your business access to employees only as well as be able to lock out unauthorized individuals. But understanding your line of business and the kind of protection your business deserves is an open clue to deciding on the type of lock to install. Ideally, business security is the owners’ key concern, and therefore choosing the right commercial lock for your business will ensure you meet all your security demands, both in and out. Therefore in order to ensure you meet those needs you need to consult with a locksmith if you are not sure on which type of commercial lock will work best for your enterprise. 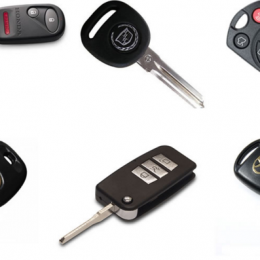 Are Car Keys Cheaper Using A Locksmith? Are the car keys cheaper using a locksmith? Absolutely, but that will depend on the make and the model of your vehicle. If you, by any chance get locked out of your vehicle, Locksmith is an alternative to being gouged’ by a dealer. Below is a rundown of what you expect in the way of the cost if you have to repair your car key or replace one along with other alternatives that can help you cut down your bill. 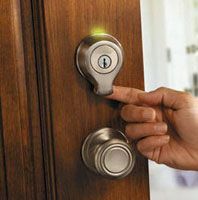 Special thanks to the experienced locksmith experts from lasvegaslocksmithpros.com. Basic car keys, which are commonly seen on 1990’s models, have no security features are easy to cut. 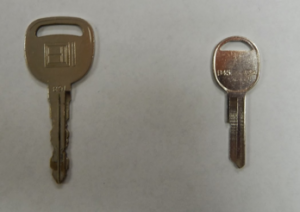 It is also very easy to copy these kinds of keys, and a locksmith does not need such advanced equipment, he can use the machine that he uses to cut other keys. A basic key will cost no more than $3 on average in a locksmith store though that will also depend on the model of your car. If you go the dealership you will probably spend more than $ 12 on average of the same, the only major difference is that you will get an automaker’s branding on the key, all in all, it much cheaper at a locksmith store. On the modern cars, a remote or a transmitter can cost as much as $90 on average at the dealership again, that will depend on the automaker or the complexity of the design. These transmitters need to be programmed, and you might expect to pay for the same. Some dealership can offer this service for free, but some will charge you per hour on the labor. If you go to a locksmith, there are a more likely chance that you will be able to save some few bucks on the same, because they usually have what we call aftermarket fobs. The quality of aftermarket transmitter may vary, but it a cheaper alternative if you lose yours. Most of the keys you will find out there contain transponder chips that are usually placed in the plastic head of your key. This chip emits a signal to the receiver in the ignition, so if you put the wrong key, then the receiver will detect a wrong signal and the vehicle won’t start. Some dealership has machines that are able to program the key, because, unlike the basic key, transponder key has to be programmed before it can start the car. If the dealer has the equipment necessary, they will probably charge per hour of labor. The average you expect to pay for the same in a dealership is $ 160. 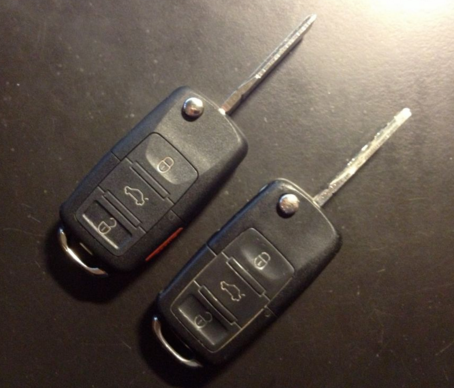 If the transponder key and the fob are in the one unit, you will expect to pay more for the same. 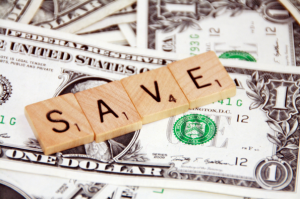 If you go to any locksmith, you will be able to save few bucks, maybe $ 20-40. You also have an added advantage if you go to a locksmith especially if you are that kind of person who frequently loses keys. A locksmith will be able to cut an emergency’ key for you, and all you need is to follow the procedure of programming usually found in the owner’s manual. Laser-cut keys are very high-security keys and very hard to duplicate. The machine used to cut these keys is expensive and may not be available to many locksmiths. Some locksmith, however, has special machines that help originate, duplicate and even program these keys. If you go to a dealership, you are most likely going to pay more than $200 including labor. If you go to any locksmith, you will pay much less than that. Switchblade keys are no different from other keys mentioned above. The only difference is just the appearance. They are designed to fold away inside the fob when not in use. Switchblade keys component can be purchased separately which is an advantage if your key is damaged. If lost, you will have to buy all the components that can cost up to $ 300 at the dealership if not more, and much less at a locksmith. This cost may factor in the programming of both the shank and the fob in which it folds. 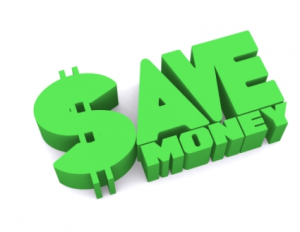 Locksmiths are not only a cheaper option but a convenient one. They have the expertise needed to program or cut your key, and they can even advise you how you can be able to it yourself. Replacing your car keys whether lost or damaged at a dealership, is definitely going to cost more considering that you will have to arrange to get your vehicle to them. The other cheapest venue is a hardware store, but they may not be able to program your key for you if it has a transponder chip or a laser cut key. A locksmith is a very important service provider because you entrust the security of your home to them. When looking a local locksmith online, it is advisable to do even more research before deciding on one. Looking for a locksmith online can be challenging because any one with computer knowledge can create a website and claim to offer locksmith services. This makes it difficult to identify genuine service providers from frauds. However with proper research it is possible to identify a good locksmith within your locality. Use google earth to street view their address. This is a good way of finding a specific location or street through satellite viewing. Every reliable and trusted locksmith should at least have a physical address. A physical address shows honesty and transparency. Locksmiths should be accessible through a physical address any time you need them. When you can’t find a locksmith’s physical address through google earth then it is not a good idea to hire them. You may need to go to the physical address of the locksmith in case anything happens. Verify the occupational license online. When looking for a locksmith online, the different websites have a section where an occupational license is shown. An occupational license is very important to any locksmith. This is a license that allows them to work in a specific city or state. 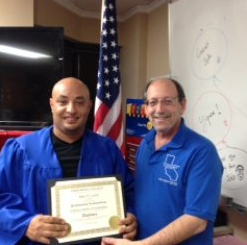 A good locksmith should be properly verified through the right licensing system. To verify if the license shown is genuine, you can do this through the city or county licensing division. This is done online and by putting the details, you will be to identify if the said locksmith is actually licensed. If the locksmith is licensed then this is a good sign. Call them for a short phone interview. Every locksmith with a website online must give a phone number on how you can reach them. Calling the locksmith is one way to verify if they are really genuine, professional and trustworthy. Once you make the phone call ask the person on the other end where they are located. The response given will help you determine if they can be trusted or not. If they take time before answering them probably they are telling the truth about their location. You can use this time to ask any questions you may have concerning the locksmith. Customer reviews can help you determine if a locksmith offers good services or not. For instance, in a locksmith’s website, we have the customer feedback section. This is the most important section of a locksmith website. 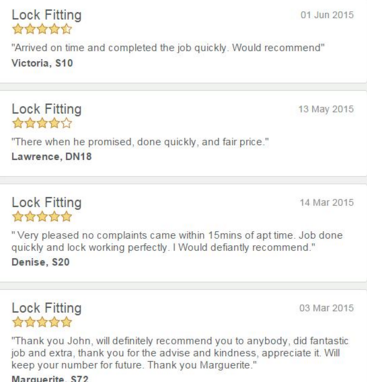 Here customers give their experience working with the locksmith. Although many comments and reviews on the locksmith’s website may be positive you are likely to find one complaint or two about the locksmith. Using the reviews you can make a decision if that is the right locksmith for you or not. Online forums are very beneficial when looking for a service provider or when trying to buy goods online. This is also a good place when trying to find information about a locksmith because members give their honest opinion about working with different locksmiths. Unlike website reviews that are likely to be biased, online forums offer a place to get unbiased information. Some online forums offer you variety and you can compare different locksmiths and finally select one who will suit your needs. When looking for online forums it is important to look for the ones near your locality to get the right information. Visit the locksmith you found online if possible. Before deciding to hire a locksmith, it is advisable to make a visit on their physical location if it is possible. Sometimes when you make calls from your house they might decide to send you someone who is not well skilled. Visiting their location shows seriousness and you can ask all the questions and clear your doubts in their offices. 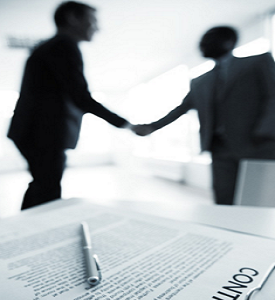 In their offices it is possible to make negotiations concerning prices, terms of work and other issues that may be of importance to you. This is different from doing everything online. There are locksmith that have a very good online process and you can still use this to make your order.